All the difference pieces of basketball scouting aren’t created equal. Some things are a lot harder to describe accurately than others. You can quantify a player’s height in feet and inches. Their wingspan can be similarly measured. Even skills like shooting and rebounding come with numbers you can consider. Measuring athleticism or potential … that’s harder. We often think of a player’s athleticism and potential as more or less the same thing. If a prospect is considered an elite athlete, he or she is said to have a lot of potential. I’m going to challenge that notion today. Let’s explore different ways of evaluating both athleticism and potential. We have certain characteristics in mind that we’ve agreed demonstrate athletic prowess. Ideally we have data other than just the eye test. It’s hard to watch ten different players in a row do a jumping drill and know how they each stack up. So we try to measure these physical traits in environments like the NBA Draft Combine. We use tests like the standing vertical leap, shuttle run, or bench press. These tests raise two big questions. What do we actually learn from the tests? It’s easy to look at test results and form conclusions based on the results. Do test results get us accurate answers? 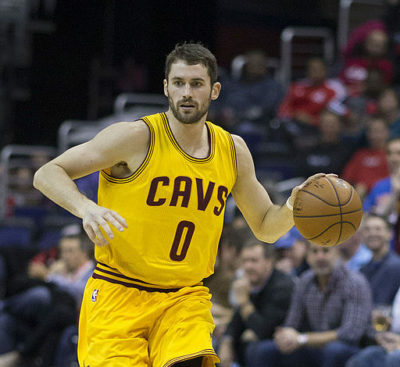 Kevin Love was viewed by many as having questionable athleticism for the NBA level. He looked slow, overweight, and all-around unathletic. And yet at the NBA Draft Combine, he produced a vertical leap only a half-inch below that of Russell Westbrook and Michael Beasley – two players seen as athletic stars – and he beat Beasley in the sprint as well. The test results didn’t match the conventional wisdom. What do we do when the physical test results don’t agree with our eye tests? Do we throw out one or the other? Everyone has their own way of answering those questions. I’m more inclined to trust an extended eye test over a solitary physical test, although the latter offers a helpful challenge to a pattern of thinking. The tests remind of us something important. Athleticism isn’t just one thing. When we talk about a player’s athleticism, we’re referring to a bucket filled with a number of different physical traits that may or may not be similarly rated. … or an explosive leaper off two feet but mediocre jumping off one ..
It’s one of the reasons going more depply into detail is such a valuable scouting habit. Don’t simply say someone is “athletic.” Explain how. While the physical tests offer value, they create a seductive fiction. The tests make you believe that they measure everything that matters. They make you believe it because as a scout you want to believe it. After all, it makes your job easier! Size, strength, and leaping ability are indeed physical traits that can make you a better basketball player. The typical tests scouts use don’t measure these things well — or in many cases, at all. And because we don’t have good measurements for those things, we tend to overlook them in favor of things we think we do measure pretty well. When you include those traits in your view of athleticism, things change a lot. 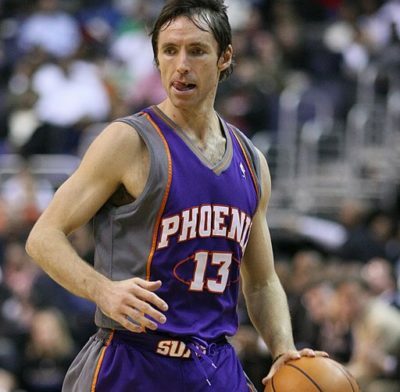 Someone like Steve Nash, who rates poorly in many of the traditional tests but who possessed exceptional physical gifts in other areas, looks a lot more athletic. This view of athleticism explains how players like Nash, widely seen as athletically deficient, can have so much success in the NBA. Examining both traditional measures as well as these more subtle ones. Then you can gain a more complete view of how a player’s athletic ability might translate to a level like the NBA. Current Denver Nuggets analyst Layne Vashro once wrote a terrific piece exploring an important question. How do we assess “potential” among NBA Draft prospects? Vashro challenges commonly held ideas about evaluating player potential. Should we think of physical tools as untapped potential? We often point to physical tools as an explanation for how high a player’s ceiling is. “You can’t teach height,” scouts like to say. But players changing their bodies isn’t so uncommon, especially today with the technology and resources that are available to help them do it. 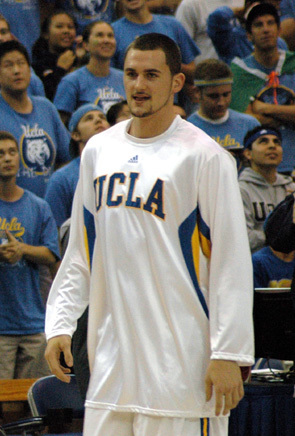 The aforementioned Kevin Love famously transformed his body after he began his NBA career. We expect skinny young big men like Dwight Howard and Anthony Davis to add muscle after joining the NBA. Of course some players have natural athletic advantages, but clearly physical tools aren’t unchangeable. If physical ability isn’t set in stone, then what exactly is potential? I often hear comments like: “He just needs to improve his shot…” or “once he learns how to handle better…” These statements speak to the idea that shortcomings in certain areas, while not technically positives, signal room for growth (i.e. potential). Nothing wrong with that, but it carries with it the assumption that guys who already possess those skills do not have the same potential to get that much better at them. We tend to assume the physically gifted players who have a lot of room to grow are more likely to make big improvements than players who are already quite skilled. The road to playing basketball in Lebanon is littered with NBA prospects who didn’t improve their shot or learn how to run pick and rolls. You can look toward players like Stephen Curry and Damian Lillard who came into the league as upperclassmen shooters with “limited upside” according to scouts … and then improved their shooting and the rest of their skills even more! It comes back to how we think. We’ve talked about how cognitive biases influence your mindset as a scout. One bias we haven’t yet discussed is survival bias, which is the mistake of focusing on people or things that made it through a process while forgetting about the ones who didn’t. While we might remember the players who learned to shoot in the NBA – Jason Kidd, Kawhi Leonard, Kyle Lowry – the many dozens who failed to add the jump shot to their skill sets aren’t top of mind. Vashro explores what might lead “limited upside” players like Kevin Love, Stephen Curry, Draymond Green, and Marc Gasol to success. The key to the success of all of these players is that they started with a really nice skill-set, but then added to those tools every season. This makes sense if we expand the idea of unique individual skill-curves to some core underlying trait that applies more broadly than any single skill. Call it learning-ability, work-ethic, BBIQ, coordination, or whatever else you want. The key is that a player has some trait (or collection of traits) that results in more rapid accretion of skills. If we believe this is the case, a player who already has an ‘old man game’ as a freshman in college should be labeled as ‘high potential’ rather than just the back-handed ‘NBA ready’, because we can expect him to continue to develop at a faster rate than his peers. Counter to the conventional wisdom, a developed skill set can be a great thing for a player’s potential. It could mean he or she is able, willing, and motivated to get even better. There are ways to spot the trail of breadcrumbs that could suggest a player is likely (or not likely) to develop a lot more. I find it helpful to have a few heuristics to incorporate athleticism and potential into my evaluations. 1. Consider the physical traits that best fit this player’s skill set. I gave the example of Steve Nash earlier, mentioning his phenomenal hand-eye coordination and balance. Those characteristics made a much bigger impact on his career than if he had been able to jump six inches higher or bench press 40 more pounds. 2. Think about what the player’s skills can tell you about the future. If it’s true that great shooters are made in the gym, not in the womb, a great shooter has demonstrated the capacity to make big improvements in his or her skill set. It’s a good sign for the player’s future because it shows he or she has the patience to put in the time to get better and the resources to do it. On the other hand, if you’re scouting a physically gifted 19 year old who has been playing since age 8 without developing much in the way of basketball skills, you’d be right to doubt the player’s prospects for making significant improvements in the future. Past development can suggest future development. 3. Examine the likelihood of a player having the necessary resources and opportunities to get better. 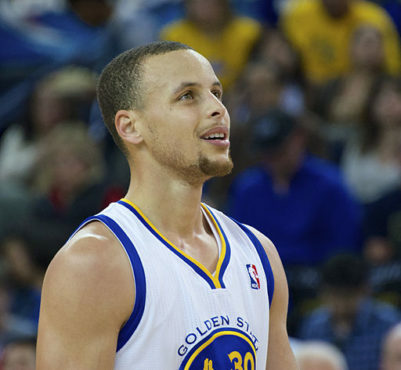 If a player doesn’t add a meaningful jump shot to his or her game, what does the player’s future look like? Would it prevent him or her from playing at the next level? Or would the player be able to find a niche with his or her other skills? Sometimes the most important ingredient for development is time. I think that the mistake some of the young players make sometimes is they come into the league and they don’t know what their niche is. I think it’s something you got to recognize: it’s always what your niche is and growing from there, expanding your game from there. If an NBA player can find his niche right away, he acquires the opportunity to stay in the league as he adds other elements to his game. Jason Kidd, for instance, took years to become a good jump shooter, but his other superior skills allowed him to be a (great) point guard in the meantime. More recently, Kawhi Leonard’s defensive ability proved an asset to the Spurs before his offensive skills caught up with the rest of his game. Meanwhile, players who don’t find their niche don’t stick in the league long enough to add additional elements to their skill sets.